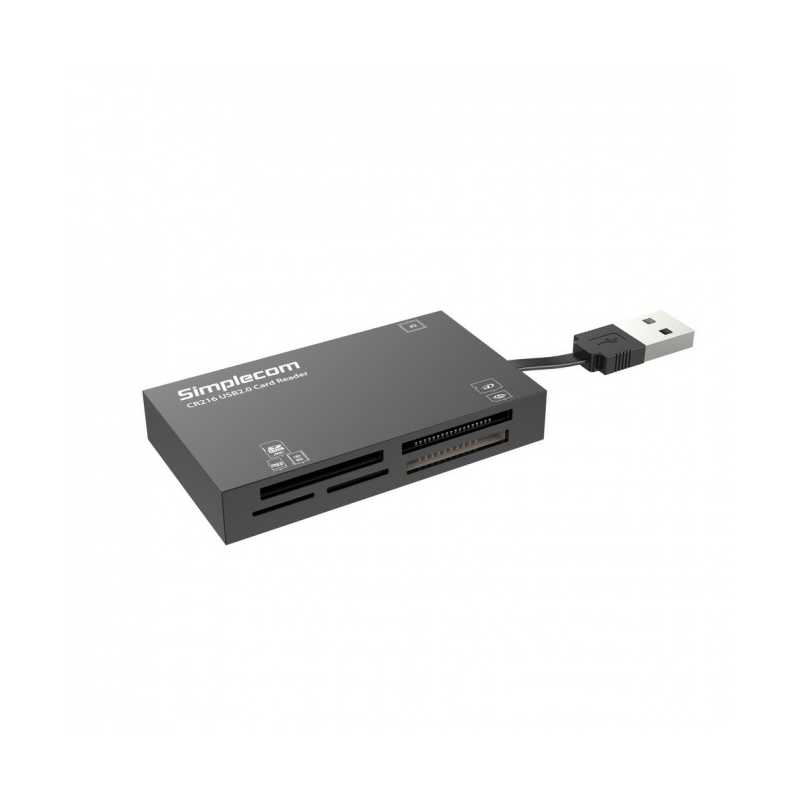 Designed with six different slots, this card reader supports most memory card formats, including SD/SDHC/SDXC, CompactFlash (Type I & II), microSD/microSDHC/microSDXC, Memory Stick, Memory Stick Pro, Memory Stick Pro Duo, Memory Stick Micro (M2) and much more. 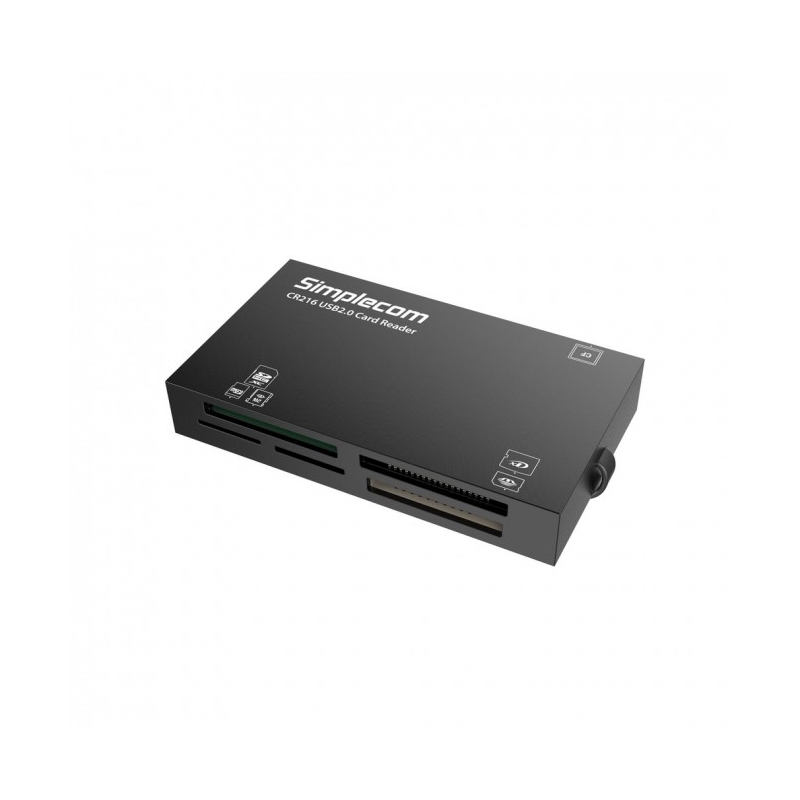 CR216 card reader provides convenient, hassle-free portability. Bring it with you wherever you go, safely store it in your backpack, carrying bag, briefcase, whether you are at home or travelling, the reader’s compact size allows you to access your precious files anywhere, anytime. 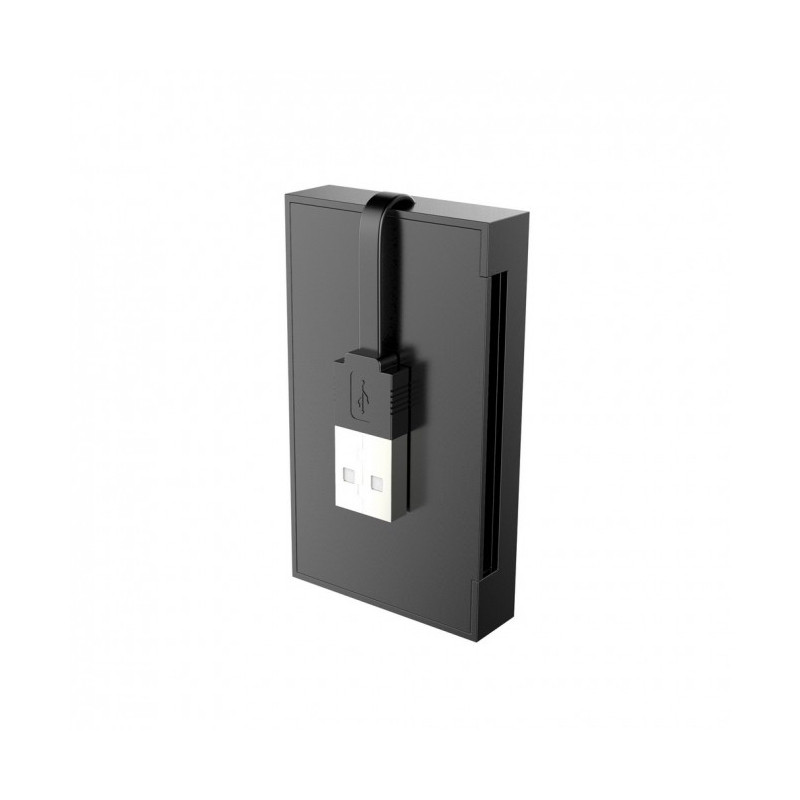 With foldable Built-in USB cable, never worry about misplacing or forgetting cable again. Access your memory card in easiest way. No drivers are required, simply plug the reader into any USB port on your computer and start manage your photos and videos instantly. No external power source is required.